Jerry has participated in many art shows in the San Francisco Bay Area winning numerous ribbons including Best of Show at the San Mateo County Fair in 1986. For five years Jerry and his wife Arlene owned and managed the Nevada City Gallery where Jerry was able to display and sell much of his art. While at the gallery he also improved his picture framing skills and developed a dedicated clientele. 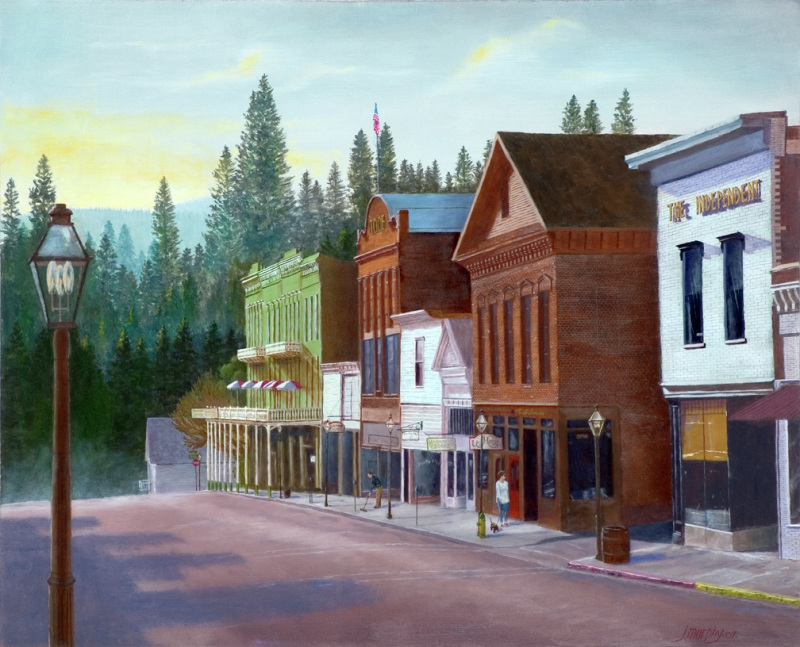 Jerry has been consistently showing his work at the Nevada County Fair and has won first place awards in the Professional Oil Division and three times has won the Best of Show Award for the best Nevada County Scene. His work has been shown in venues such as Nevada City Summer Nights, the Draft Horse Classic, Sierra Festival of the Arts, California Arts League, the Open Studio Tour, Pioneer Arts, Victorian Christmas in Nevada City Art Works Gallery and the Banner Mountain Artisans show. Jerry primarily does representational art in oil, depicting local scenes, landscapes, people and animals. Among his favorite artists are Clark Hulings, James Fetherolf and Norman Rockwell.